Date posted: August 5, 2015 by: JasonDarkX2 Category: Gaming Tech 4 comments. Surely the biggest reveal today is from EA with yet Star Wars Battlefront gameplay footage which would make you cry at its sheer beauty. Fighter Squadron Mode is a game mode that puts you in the cockpit of the iconic star Wars vehicles in intense aerial dogfights with up to 20 players and AI controlled ships, featuring everything from X-wings, Tie fighters, to the Millennium Falcon and Slave 1. This truly makes up for that lack of Space battles which was confirmed earlier this year in my opinions. Now all we need to see is some customization options for Star Wars Battlefront. 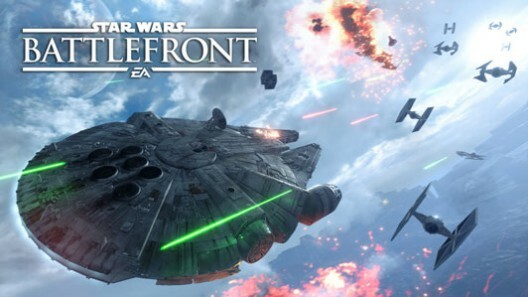 Star Wars Battlefront ships on November 17th on PS4, PC and Xbox One. Second to that is we finally a world premiere 5 minute gameplay footage of Mirrors edge Catalysts showing young faith in action and boy does it look so good and that sense of heroism and fear vibe throughout the t demo. Certainly worth checking out and a hand of applauds goes out to DICE. Mirrors edge release next year February 23, 2016. Delivering good narrative through live action cut scenes and Nice cars, the new NFS is looking very promising in my opinions. What's amazing is your custom car will part of those cut scenes. Lastly for the ladies and gentlemen, every bodies favourite Yarney makes an appearance at gamescom Unavailing some game play footage of the little guy getting around obstacles. Well, that does it for all the big media and press conferences at Gamescom 2015 which I cared about. Hopefully you guys are as much excited as I am for the upcoming games and/or more convinced on getting something let me know in the comments below yo!